Novitech is a ukranian developer and manufacturer of GPS hardware for fleet management and asset tracking. Also, it produces various telematics sensors including FLS. 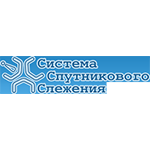 The company was founded in 2007, headquartered in Dniepr, Ukraine.